Paradise Pools by Design is a family owned and operated business that specializes in high quality custom pools in the greater Orlando area. Owners, Ryan and Wes Holland have been providing exceptional customer service and custom built pools and spas for nearly two decades. Our goal is to continue to reach new heights in the pool industry while always keeping our clients the main priority. Here at Paradise Pools by Design, we are the next generation pool builder. We strive to stay on the cutting edge of technology for “greener,” more efficient pools, while providing you the latest design innovations. We provide each client with a custom 3D virtual reality design. You are able to swim in your pool and walk through your newly designed hardscape before even breaking ground. This gives our customers a clear vision of how everything fits in their backyard. Every project at Paradise Pools is uniquely designed from client to client. Let our team of award winning designers and builders transform your backyard. 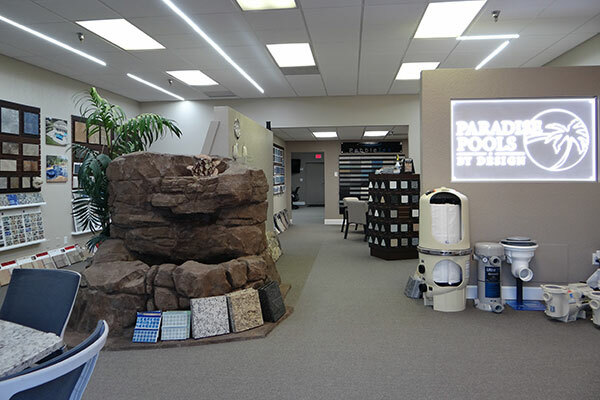 Come visit us at our showroom located in beautiful Altamonte Springs, Florida where you can choose from the industry’s highest quality materials and finishes. 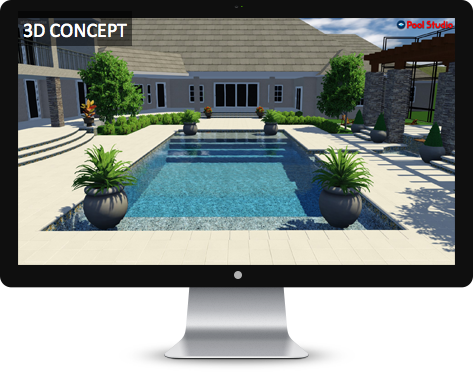 A sit down consultation with one of our award winning designers lets you envision the pool of your dreams right before your eyes with a virtual 3D rendering. Call to schedule your appointment today!